Could Marijuana Help Our Health in 2017? Twenty-eight U.S. states have now legalized the medical use of marijuana. But a nagging stigma about this “natural drug” remains. Decades of stoner films haven’t cast the cleanest image on marijuana. Besides cultural stereotypes, many have been able to get marijuana cards from unsavory doctors with nary a physical exam or diagnosed medical problem since medicinal marijuana first became legalized. Some patients call it a life-changing, low side-effect miracle, while some regulators and physicians still advocate for tight restrictions on cannabis. But all marijuana is not created equal. Cannabis indica is known as the “relaxing” marijuana variety, while Cannabis sativa is more associated with a pleasant, creative, “energetic" feeling. Cannabis has two major components: THC (9-tetrahydrocannabinol), responsible for the “high" feeling, and CBD (cannabidiol). THC’s action is on the many CB1 (cannabinoid type 1) receptors in the brain — a kind of docking station for a molecule that causes its functional action to be carried out. Unlike THC, CBD does not act through the CB1 receptors but rather on the CB2 receptors, mainly found in the immune system. So, which medical problems actually have evidence that marijuana is a real, viable treatment? The opioid crisis in America has led to intense interest in newer, safer pain-control methods, but the legitimacy of switching patients over to marijuana has been plagued by the subjectivity of pain — some people say a little knee ache is 10/10 pain while this number usually means epidural-free labor pain. Now, placebo-controlled trials are underway to measure the actual effects of marijuana in patients who don’t know whether they are really getting the drug or not. Knowing that marijuana recipients dropped, say, 3 points on the pain scale at a certain dose will help doctors to prescribe in a logical manner and justify their prescriptions more. Both THC — the chemical responsible for most of marijuana’s physical effects — and cannabidiol, the immune system chemical, are being studied for pain relief. A placebo-controlled trial of low-dose THC showed some pain relief in people with chronic nerve pain. Another small study of cancer patients with pain unrelieved by opioids, showed that THC plus cannabidiol (CBD) resulted in a had a 30 percent reduction in pain. Though the combination showed promise, it also increased nausea and vomiting. Marijuana has side effects after all. A third study on patients with rheumatoid arthritis showed that the patients who unknowingly received a THC-CBD combination medication reported decreased pain on movement, less pain at rest and improved quality of sleep. The story with marijuana and depression is far more complex. A good doctor will warn patients about the increased risk of depression with long-term use of marijuana. 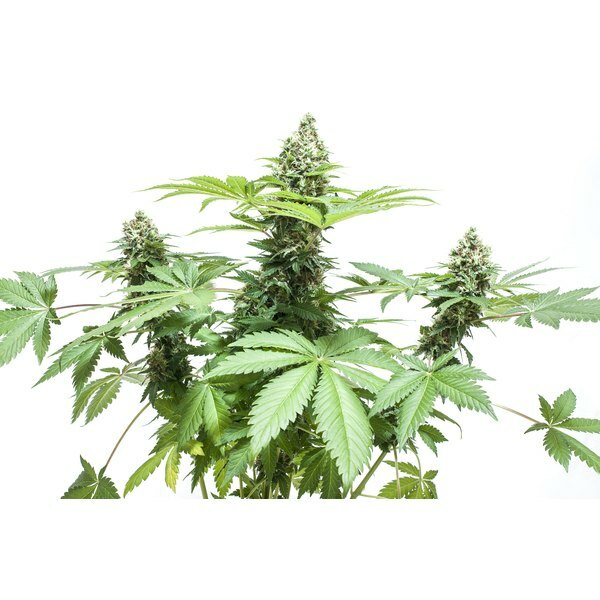 A review of smaller studies suggested this, although aggregating many studies means that some patients in the studies were taking C.sativa while others were taking C.indica. Research has found that women who reduced their cannabis use had fewer symptoms of depression. This may be due to a genetic variant in chromosome 11q23 that correlates with both recreational marijuana use and depression. That means it could also be that people who have depressive tendencies genetically tend to favor marijuana use, with the marijuana potentially exacerbating those natural tendencies. Unfortunately, the exact gene variant hasn’t been confirmed, so a 23andme or other genetic test will not be helpful — yet. However, isolating CBD from the sativa strain of marijuana seems to have actual promise for treating depression. In animal studies, behaviors interpreted as lower anxiety and lower depression occurred in animals that had received cannabidiol. On a molecular level, researchers were able to show that CBD woke up a receptor called 5HT1A. What else wakes up 5HT1A? Buspirone, a prescription drug for depression or anxiety, and ergotamine, a migraine drug. Epilepsy is a chronic seizure disorder. The brain, often triggered by factors like stress, lack of sleep or illness, suffers a “shower of sparks” as a surge of electricity wreaks havoc on the brain. The result can include symptoms as varied as tongue biting, violent shaking, spacing out or temporary paralysis. Patients with severe epilepsy have significant restrictions on their vocational choices and often have to take a daily cocktail of medications that require regular blood tests and checkups. In a trial of children and young adults with epilepsy there was a 30 percent overall reduction in seizures when treated with CBD. Thirty percent may not sound like much, but it could represent the difference between holding a part-time job and being on disability for life (or the difference between three costly hospital visits and one). Recreational marijuana use is now legal for adults in California, Washington, Oregon, Colorado, the District of Columbia, Maine, Nevada and Massachusetts, with some of those states still in the implementation phase. Proponents of recreational marijuana often claim that marijuana use is safer than drinking. But is it? There is growing concern about marijuana users being impaired while driving. Since traffic accidents are a public health problem all by themselves, governments of different states and countries have implemented or are working on laws that restrict the legality of driving while high. A review found that marijuana is associated with more lane weaving and improper maintenance of a safe following distance, two key factors in safe driving. Even after ceasing marijuana use, study subjects were still impaired to some degree in hand-eye coordination tasks for several weeks. In the future, driver’s licenses could be restricted if very high levels of THC on testing indicate to law enforcement that the user is showing a chronic pattern. In late 2016, research presented at the American Heart Association’s annual meeting concluded that active marijuana use doubles the risk of stress cardiomyopathy, a weakening of the heart muscle that can cause cardiac arrest. While cardiomyopathy patients are usually older and sicker, this analysis of 33,000 people with the disease found that the marijuana users in the study had developed the condition young. While they were less likely to have problems like high blood pressure or cholesterol, they were more likely to need an implantable defibrillator to shock their hearts automatically when in an irregular rhythm. This casts concern that marijuana may have been an inciting factor. Other concerns about recreational use include increased paranoia, increased psychotic activity (i.e., hallucinations), memory loss and overall changes in the brain. One study suggested that marijuana’s interference with the brain’s ability to respond and react to a stimulus could be the underlying cause of psychosis in users of the drug. Is Marijuana a Treatment for You? The uses of different strains and components of marijuana for medical purposes reported by doctors and in scientific literature is wide and includes: chronic fatigue syndrome, fibromyalgia, anorexia, poor appetite during cancer, nausea, migraines, multiple sclerosis and more. Each of these medical conditions has varying levels of evidence in the literature, and, as with those noted above, most of the studies tend to be very small, with between one and 60 patients. This limits the studies’ reliability, but provides a good jumping-off point for ambitious scientists to study a group of thousands of people. The effective treatment of a large number of people in a research study is what drives things like mainstream acceptability of a new treatment, its recognition by the DEA and even insurance coverage. Patients considering marijuana should consult with a reputable physician as well as involve the physician who is primarily taking care of their medical condition. The consequences of marijuana use can be significant, so a full examination of the options — including CBD or a different strain of marijuana — should be considered. Monya De, M.D., M.P.H., is a graduate of Stanford University and the University of California at Irvine and Berkeley. She practices internal medicine and integrative medicine and writes the Practice Notes blog for the Center for Health Journalism. Her writing has appeared in the Los Angeles Times, LA Weekly, The Economist, Medical Economics and more. Follow her on Twitter @medjournalist.